Description: Lenovo T400 laptop - 1 each. 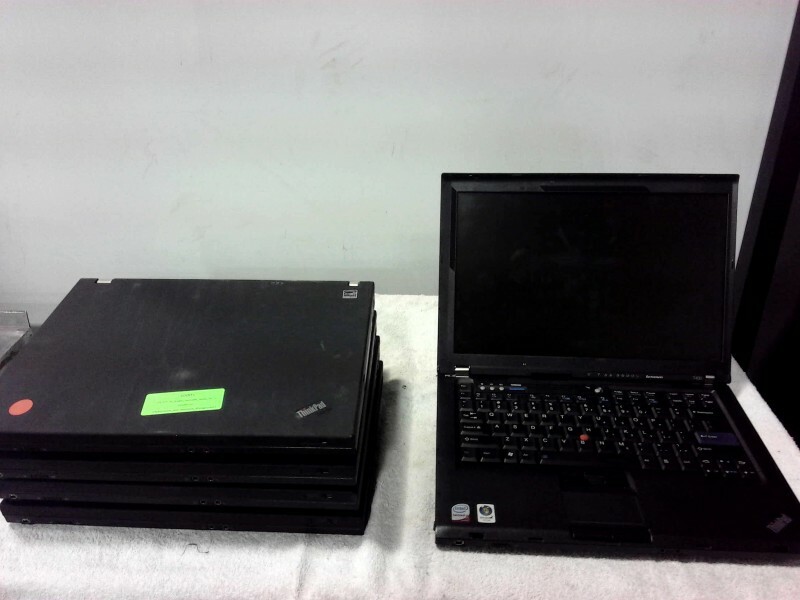 Lenovo T61 laptops - 4 each. No OS or Hardrives is included in this lot. All these laptops should be considered as for parts or repair.